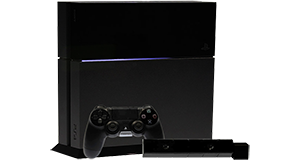 There are no solved problems listed on our records for this Playstation 4 game. To submit a problem or give a solution for an unsolved problem, please see the list on the right. There are no unsolved problems listed on our records for this Playstation 4 game. To submit a problem or give a solution for an unsolved problem, please see the section below. All problems on this page have been submitted and answered by users. If you have a problem with Ubisoft's Just Dance 2014, please submit it below and we'll post it here. If a game isn't loading, check for dust or dirt in the disc slot. The most common cause of non-loading games is scratches on the disc. Check carefully for scratches, dirt and dust. Check your internet connection, too.